It’s getting to the point it’s going to be news when a month goes by and there’s no word of a new restaurant opening in Midtown or downtown. Here’s the latest: Rocco’s Italian Deli, is getting ready to open at 3627 Cass Ave. in Midtown as soon as the week of May 7, reports Brenna Houck of Eater Detroit. 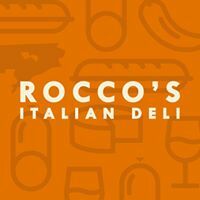 Rocco’s will feature a deli case with cheeses, meats, and olives alongside other to-go items such as lasagna. The menu has tomato farfalle, meatball subs, chicken parmesan and up to six other sandwiches. The newcomer will have 25 to 30 seats, plus an outdoor patio seating. We’ll offer an inspiring selection of cured meats, cheeses and specialty items, carefully curated to introduce Detroit to a variety of Italian flavors that are both imported and house-made. In addition to our deli, we’ll also feature prepared foods and sandwiches with a focus on using a few simple ingredients to achieve intricate and exciting taste profiles.